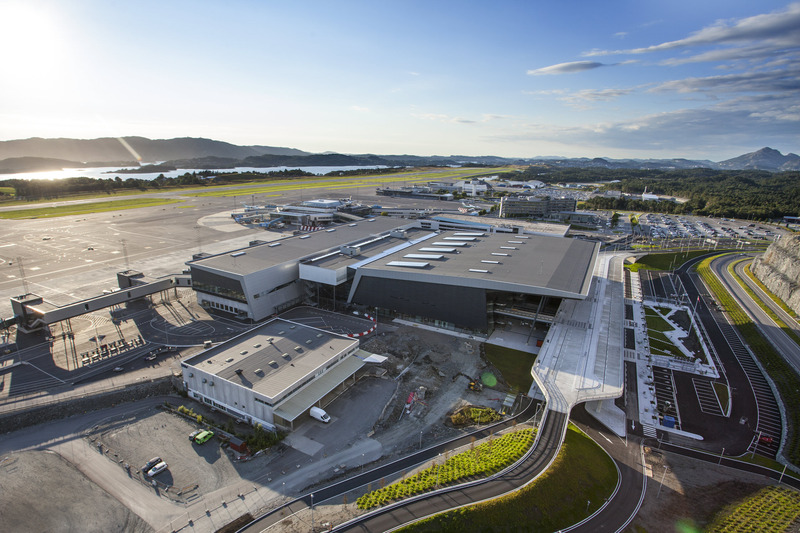 With increasing air traffic and an ageing terminal building at Flesland, investment and capacity increases were sorely needed for Western Norway’s main airport of Flesland. 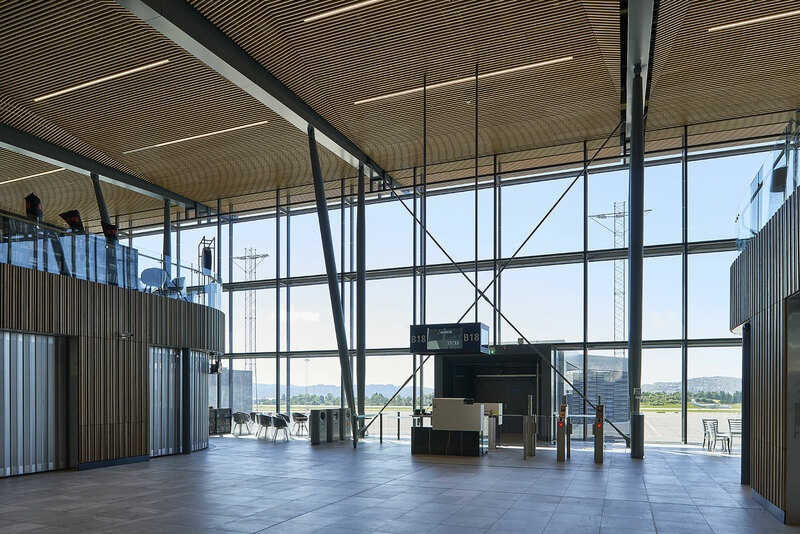 In 2008, Avinor Flesland announced an architectural competition for a grand expansion of the airport, which the Nordic Office of Architecture (formerly NSWAP) won with its ‘Vingespenn’ concept. Aas-Jakobsen assisted the architect in the competition and outline project and went on to become a key part of the Team_T3 group, which won the contract to provide engineering consultancy services for the preliminary project and subsequent phases. 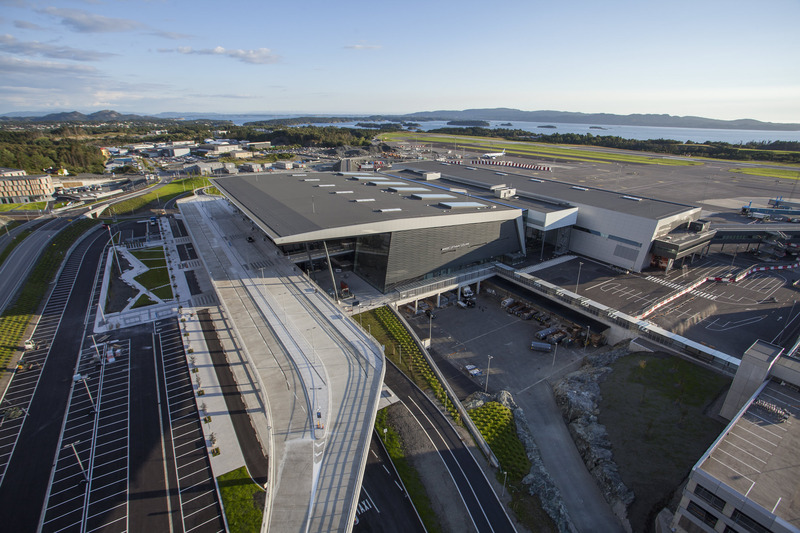 As a partner in Team_T3, Aas-Jakobsen provided civil engineering consultancy services for the new terminal building, and also provided engineering team management and BIM management services. The project was split in three parts. The first was known as Landside, in which parts of Lilandshaugen hill were blasted away to provide space for the new terminal and the functions needed for passengers arriving at and leaving the airport. 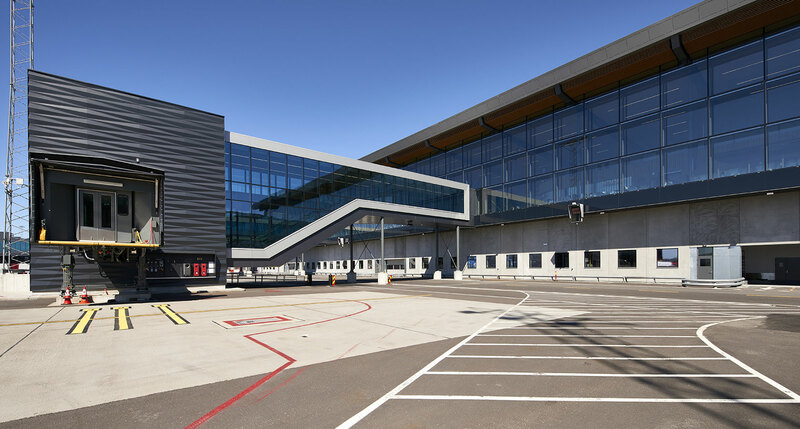 The second part was the New Terminal Building, consisting of the railway station, arrivals and departures halls, security control and office block, piers at the gate areas and bridges out to the planes. The third part, known as Airside, with aprons and connections to the taxiway and runway, was also an important part of the project. The new terminal building has a size of around 65,000 m2, and the existing terminal has been connected as a satellite for international traffic. With a view to the future, the New Terminal Building has been designed so that it can be expanded both to the north and south. 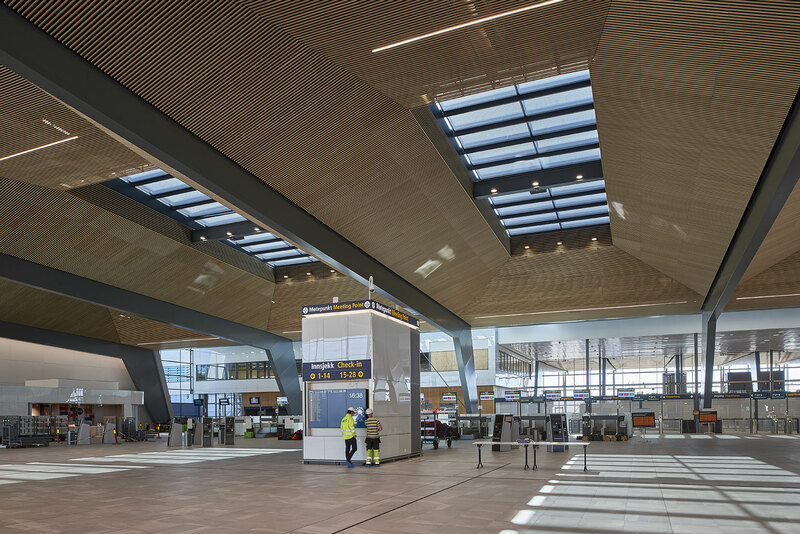 The new terminal at Flesland has been an extremely exciting project for Aas-Jakobsen. All the needs which must be addressed by a modern international airport mean that the project and building are functionally complex. We are pleased to have played a key role in the development of a project which is technically and functionally successful and has also created a building with high aesthetic qualities. Multidisciplinary teamwork and a focus on the overall considerations have been vital for the project. To ensure that the client Avinor was provided with a full consultancy service covering all engineering disciplines, Team_T3 was formed before the project started, with Aas-Jakobsen being one of four partner companies in Team_T3. For the entire duration of the project, everyone in Team_T3 worked out of the same premises as the architect, i.e. in the project office at Majorstua in Oslo. 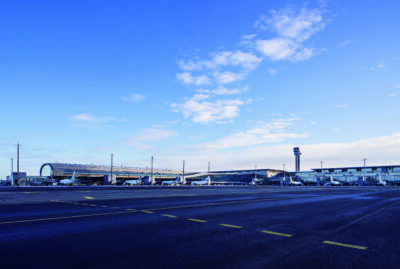 One of the criteria for the successful design of T3 Flesland was the extensive use of BIM tools and methods. This enabled the various disciplines to work together efficiently, with everyone working on the same model, and also allowed Aas-Jakobsen to produce the tender documentation and basis for work in the form of CAD models and drawings. For example, the bill of quantities provided by Aas-Jakobsen were prepared directly from the model, and all of the reinforcement for the structures was done in the model and directly correlated with working drawings. This strategy of making extensive use of BIM has made the work extremely efficient, and the Flesland project provides an excellent example of how Aas-Jakobsen prefers to work in major projects. 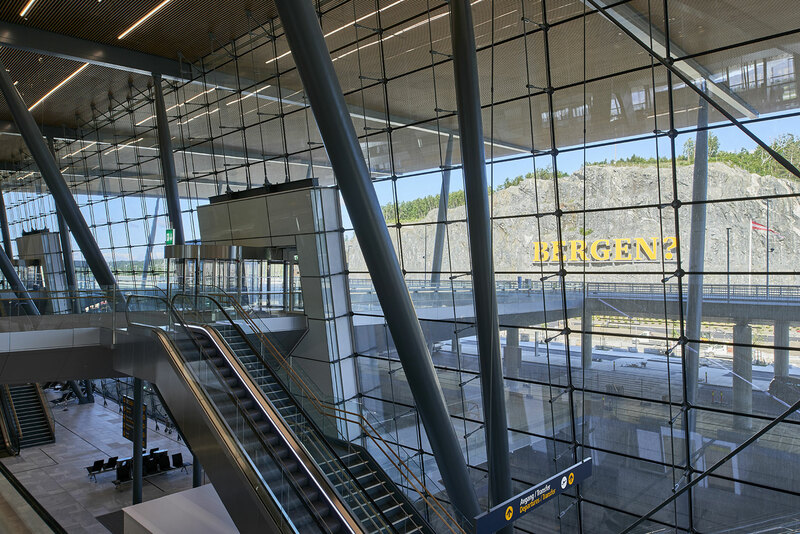 On 17 August 2017, Avinor opened its new terminal at Flesland, giving Western Norway the stunning, smoothly-functioning and high-capacity airport it required in order to meet the needs of business and tourism for many decades to come.